Katherine Villiers was the daughter of Sir George Villiers and Rebecca Roper. 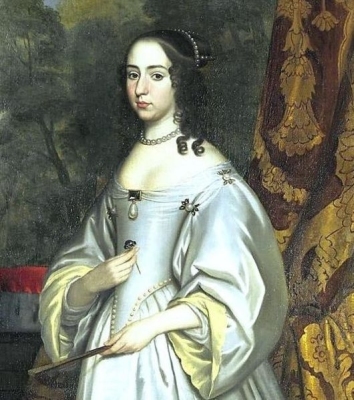 She gained the title of Princess Ulrike of Sweden.1 She gained the title of Queen Ulrike Eleanore of Sweden in 1719.3 She abdicated as Queen of Sweden in 1720. August Bernadotte, Prince of Sweden was born on 24 August 1831. He was the son of Oskar I Bernadotte, King of Sweden and Joséphine Maximiliane Eugénie Napoléone de Beauharnais. He married Therese Amalie Prinzessin von Sachsen-Altenburg, daughter of Eduard Karl Wilhelm Prinz von Sachsen-Altenburg and Amalie Antoinette Prinzessin von Hohenzollern-Sigmaringen, on 16 April 1864 at Altenburg, GermanyG. He died on 4 March 1873 at age 41 at Stockholm, SwedenG. He gained the title of Prince August of Norway. He gained the title of Duke of Dalarna.2 He gained the title of Prince August of Sweden. Eugenie Bernadotte was born on 24 April 1830. She was the daughter of Oskar I Bernadotte, King of Sweden and Joséphine Maximiliane Eugénie Napoléone de Beauharnais. Friedrich Wilhelm Kurfürst von Brandenburg was born on 6 February 1620. 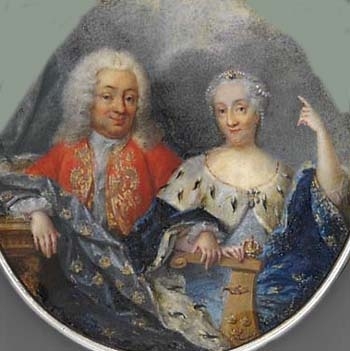 He was the son of Georg Wilhelm Kurfürst von Brandenburg and Elisabeth Charlotte von der Pfalz.4,5 He married, firstly, Louise Henriëtte von Nassau-Dillenburg, Princess of Orange, daughter of Frederik Hendrik von Nassau-Dillenburg, Prince of Orange and Amalie zu Solms-Braunfels, in 1646.6 He married, secondly, Dorothea Sophie zu Schleswig-Holstein-Sonderburg-Glücksburg, daughter of Philip Herzog zu Schleswig-Holstein-Sonderburg-Glücksburg and Sophie Hedwig von Sachsen-Lauenburg, on 13 June 1668. 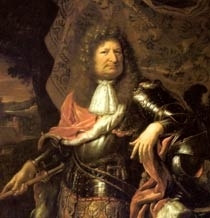 He died on 29 April 1688 at age 68 at Potsdam, Brandenburg, GermanyG. Friedrich Wilhelm Kurfürst von Brandenburg also went by the nick-name of Friedrich Wilhelm 'the Great'.1 He succeeded as the Kurfürst von Brandenburg in 1640.6 He gained the title of Herzog in Preußen.